Did someone you love go from eagerly reassuring you they “love” you to – one week later – saying they’re “no longer in love”? Is this possible? Can their love really be trusted at all? 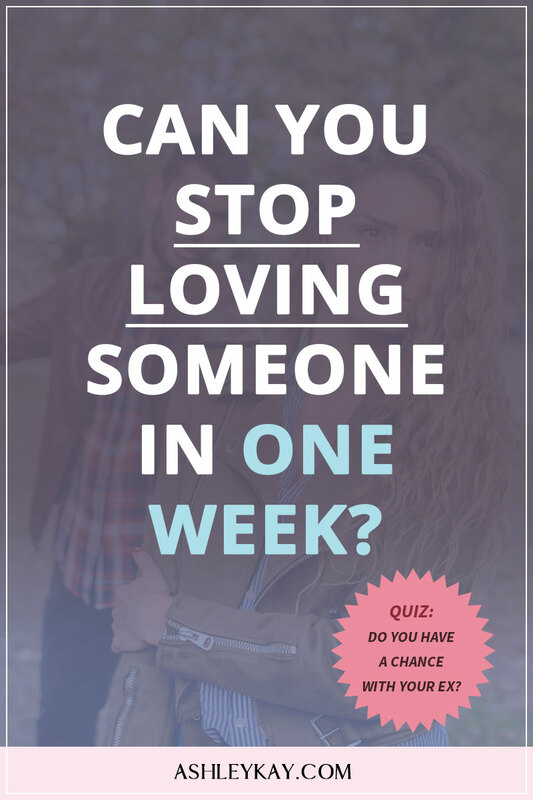 Have you ever wondered how someone can stop loving you in a week? A few years ago I was in a relationship, that was very up and down. We loved each other a lot, and we were passionate, but we also fought a lot too. One day we got into this huge argument, and we broke up. A week later, I said to him, “Okay, let’s make up. I think we made a mistake and I’m sorry. I know we have our issues, but I believe we can get through them and make our relationship work”. His response was, “No. I don’t think we are a good fit. I don’t love you anymore”. It was only a week ago that he was saying how much he loved me. That he was so sure of our relationship and his feelings for me. But a week goes by, and he no longer loves me? It was quite a blow. I started to question if he loved me in the first place and all those other time he said he did. Because how can you turn your feelings off that quickly? I could have continued to think like this if I had not paused and thought back to my own behaviour in a prior relationship. My previous partner and I were in a long-term relationship. I loved him, but it only took me about a week (maybe less) to decided that I no longer loved him. Lust is the early period in a relationship where you are both obsessed with each other. You are consumed by thoughts of the other person. How are they? Where are they? What are they doing? You want to talk to them all the time and be physically close. This is lust. It is easy to test if you are in lust. Simply ask yourself how often you think about this person. If the answer is constantly, then its lust. Love, on the other hand, is a more controlled feeling. It is a conscious decision to love that person, and its demonstrated through your actions. Because when you love someone, you choose to do loving things for them, e.g. touch them lovingly, cook dinner for them, do little things for them, even when you don’t really feel like doing it, when you are in love, you will still put in the effort to be loving towards that person. It is important to realize that love is something you conjure up yourself. You are the one doing the work, taking action, feeling the feelings. That feeling of love – you create that. So what really goes on inside the head of that person who has all of a sudden declared they no longer love you anymore? When one day their words and actions reflect love, and yet the next day they no longer feel this way. It may be due to a change of environment, situation, something you have done to annoy them. But for whatever reason, your ex has come to the realisation that you may not be right for them. And it is at this point, your ex makes the conscious decision to no longer love you anymore. So what they mean (one week later) by saying “I no longer love you anymore,” is that they now choose to no longer do loving things for you anymore. I believe you can make someone fall back in love with you, using the exact same logic. Just by showing that you add value to their life. The more value you can add to your ex’s life, the more they will feel good. And when someone is making you feel good, you naturally want to spend more time with them. When you are spending more time with them, you want to invest more and do more things for that person. So if you find your ex is starting to do things for you, they are helping you and talking to you on a daily basis. Then they are investing in you, and this is a great sign! They see the value in you being around… and this means they are not too far off from falling back in love with you again. Even if someone is acting loving, but they have not yet said they love you, this is still a version of love. And this is why it is very possible to make someone fall back in love with you. If you want to get an ex back after being told that they don’t love you anymore – I suggest you check out my program, The Ex Recovery System! Previous Post: « Get Your Ex Back: What to Say During Initial Contact With Your Ex?